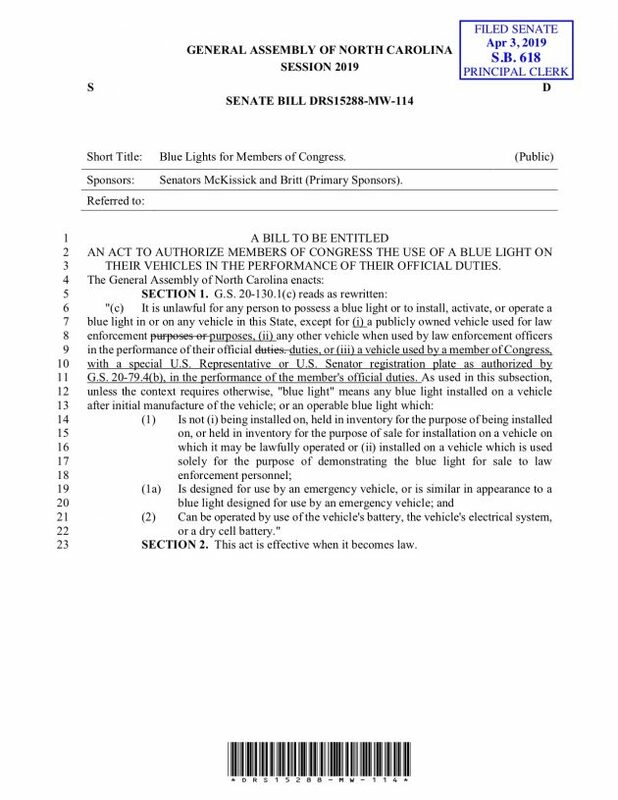 A measure introduced in the North Carolina Senate on Wednesday would allow members of Congress to use a blue light on their vehicles in the performance of their official duties. 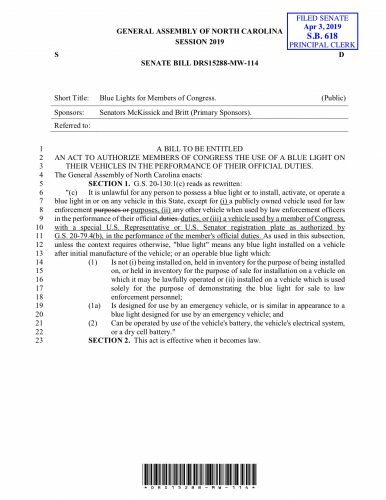 Senate Bill 618, which passed the first reading in the Senate on Thursday, says that a vehicle used by a member of Congress with a special U.S. Representative or U.S. 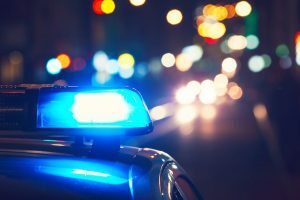 Senator registration plate would be eligible to use a blue light. Sponsors of the bill are Senator Floyd B. Mckissick, Jr. (D-Durham) and Senator Danny Earl Britt, Jr. (R-Columbus). The measure has moved on to the Committee On Rules and Operations of the Senate for further review.